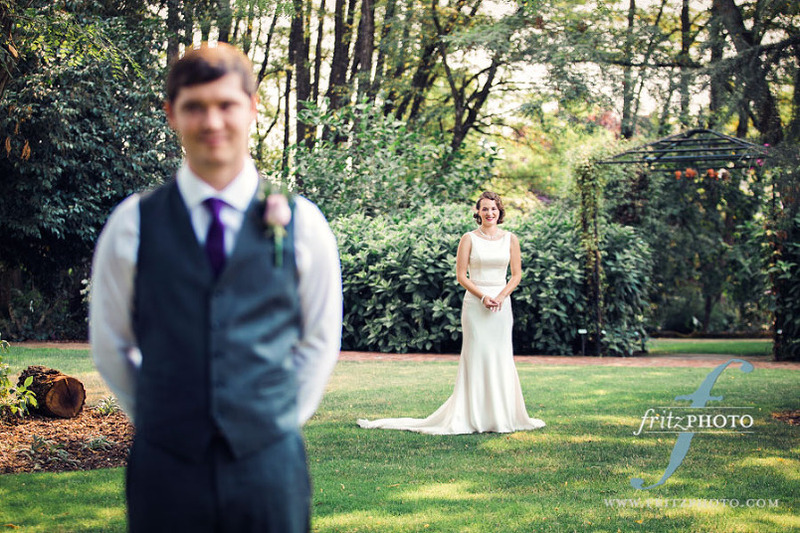 Krysta and Sean had an amazing wedding day at Ainsworth House and Garden. They were so happy and gracious, and it was a complete honor to be apart of their wonderful day. 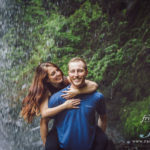 We asked the couple a few questions to help tell the story of their day. It’s hard to pick a favorite moment. There were so many! I guess I would have to say the first look. It was very touching seeing Sean’s reaction when he saw me for the first time that day. We both welled up. Can you share a memorable story about an important person at the wedding? During the ceremony Kevin Yell talked about telling the people we love why we love them. My best friend from college was able to come to the wedding and we got to share why we love each other. It was a very special and enlightening experience. Was there something that made you cry at your wedding? Oh my gosh! I cried so much! My sister’s maid-of-honor speech caught me off guard. I cried so hard, it was perfect. Then the best man’s wife sat and drew a portrait of me during dinner and most of the dancing. I had no idea. It blew me away when she showed me. We cried and the whole wedding party came over and covered us in a group hug. Was there something that made you laugh? There isn’t one particular moment that stands out to me but I did have a giant grin on my face the entire evening, apart from when I was crying. I had a lot of fun. The photographer did catch a great photo of me laughing really hard with one of my good friends. I just wish I could remember what she said that made me laugh so hard. What were your favorite wedding decoration details? I think my favorite decoration idea were the mini terrariums that lined the aisle and then sat on the tables after the ceremony. I had a lot of fun making them with my mom and my sister and they came out really nice. I found my dress at The Bridal Gallery in Salem. It was a perfect fit! I just needed it shortened and had the beading added. The rest of my pieces I found online. I was so pleased with the photos when I saw them. Our photographer caught some really great moments and candid shots that I would have missed otherwise. So I want to thank her for that. The first look was the bride’s favorite moment of the day. It’s a really tender, sweet moment that couples get to share together. 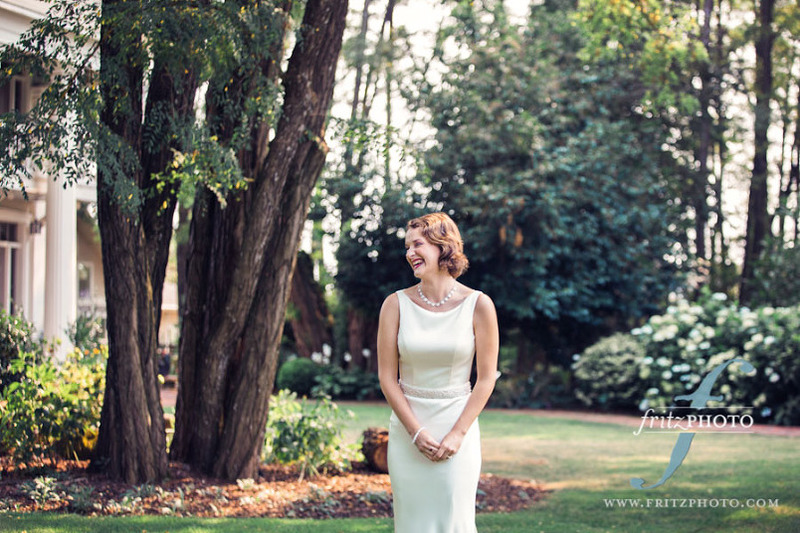 The bride looking stunning in her dress from The Bridal Gallery in Salem, Oregon. The wedding party looking good at Ainsworth House and Garden! Some of the happy couple’s favorite moments of their wedding day were the speeches. They laughed, they cried, it was perfect! Can you give us a list of vendors? As far as vendors go I had Art de Cuisine cater. 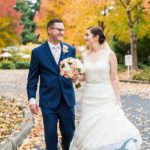 They had so many great options it was easy for my husband and I to, not only agree on things we liked, but also find things to fit our guests’ needs. We then went with SW Cakes for our cake and cupcake tower. 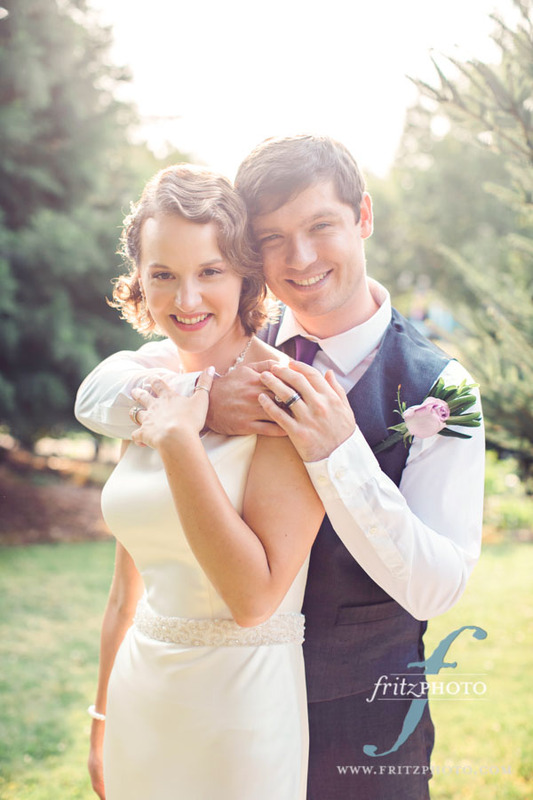 And of course the wedding photography was done by FritzPhoto!